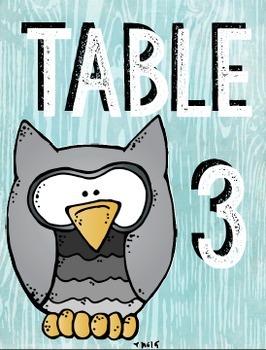 If you are looking for classroom decor with a woodland animals, camping, or forest friends theme these are the perfect table numbers for you! 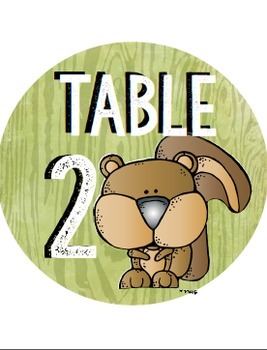 The product includes rectangle and circle Table numbers 1-5 in woodland brown, woodland blue, and woodland green. These table numbers work excellent when hung with ribbon, attached to paper lanterns, or stuck to table buckets. 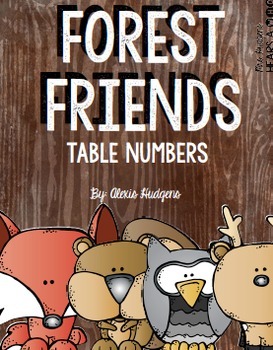 They are meant to be paired with all my other Forest Friends products, and will be bundled soon!